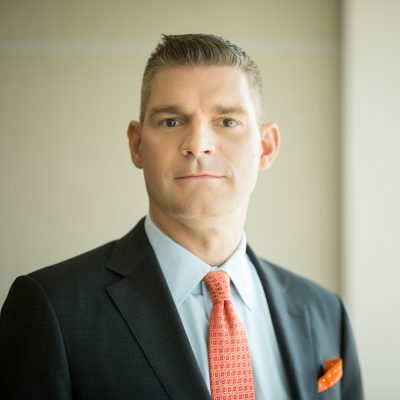 Mark’s background includes a broad array of multijurisdictional and complex commercial disputes, including class action litigation. He has practiced before state and federal courts, as well as in arbitration actions, and he has been involved in all aspects of litigation—from pretrial discovery and motion practice to trial advocacy and appellate practice. He regularly represents plans, their sponsors, and insurance companies before federal and state regulatory agencies. As a litigator, he has successfully defended plan trustees and plan sponsors in federal court against breach of fiduciary duty and prohibited transaction claims brought by the Department of Labor and plan participants and beneficiaries. These claims involved complex commercial real estate developments, stock option and stock repurchase programs, and multiple employer welfare arrangements. He has also successfully defended plans and their fiduciaries in benefit claim disputes in both trial and appellate courts, and he has successfully defended employers against claims arising under the Americans with Disability Act. In addition, Mark regularly counsels plans, plan trustees, and plan sponsors as to their fiduciary obligations under ERISA. These include duties attendant to plan investments and transactions, as well as the requirements of federal and state health care laws, including Medicare Part D, HIPAA, COBRA, and the Age Discrimination in Employment Act. Employee benefits is such a multifaceted legal field that I knew it was an area in which I would never stop learning.